Christine Lazaro is the Director of St. John's University School of Law, Securities Arbitration Clinic where she supervises students who represent small investors in negotiation, mediation and arbitration. Professor Lazaro is a member of the Public Investors Arbitration Bar Association (PIABA) Board of Directors and Executive Committee and cochairs PIABA's Fiduciary Standards Committee. Professor Lazaro is the recipient of the 2012 PIABA Outstanding Service Award for her service and contributions to PIABA. Prior to joining the Securities Arbitration Clinic, Ms. Lazaro worked for a boutique law firm, Davidson & Grannum, founded by the former head of litigation at PaineWebber. While at Davidson & Grannum, she represented both brokers and broker-dealers in customer disputes in both arbitration and mediation. 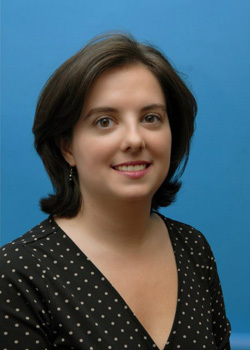 Ms. Lazaro also represented firms in disputes with their former employees dealing with promissory notes, as well as other employment law issues. She has appeared before the EEOC on an employment discrimination claim on behalf of an individual. Ms. Lazaro was also the lead attorney at the firm dealing with advising broker-dealers regarding their investment contracts with several municipalities and other government entities. She has brought and defended motions to vacate arbitration awards. While in law school and college, Ms. Lazaro worked in a branch of MetLife. While at MetLife, she got exposure to all aspects of a branch's business, including processing applications and placing trades, working with life insurance underwriters, recruiting new brokers, and dealing with customer complaints.